Creation and publishing of paper maps is one of the main directions of work of Jāņa sēta Map Publishers. Detailed road maps, educational editions like atlases and guide books, puzzles and scratch–off maps. Every detail counts – this is how we guarantee the best quality! 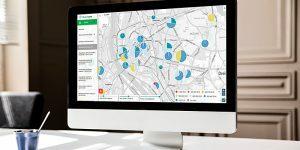 We are owners of the unique geospatial dataset which might be integrated into different information technology solutions. The options of our cooperation can vary from data delivery till the development of difficult information systems. The most competent and experienced map publisher in Baltic States with great experience of tourist information creation. Professional team of cartographers, graphic designers, editors, layout designers and project managers will transform stories about your place into exciting edition. Complete database of geographical information, know-how skills of GIS use feasibilities and professional team have made Jāņa sēta as strong and original research laboratory, consultant and expert who`s decisions are based on the map. “Jāņa sēta Map Publishers” Ltd is a leading company in the market of cartography related services in the Baltic States since 1992. Jāņa sēta offers a wide range of cartographical editions as well as services of various kinds including polygraphy works, GIS and software development. 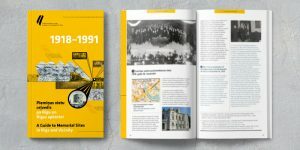 Thanks to its professional and enthusiastic team of cartographers, GIS engineers and experts, Jāņa sēta have created wide range of cartographical editions, from detailed maps covered all territory of Latvia till great geographic atlases in several languages. Printed maps and atlas is not the only thing the company does. Increasingly larger significance in Jāņa sēta service list fills information technology products which are based on geospatially smart solutions. We are open for new ideas and customized solutions. Please contact us to get an offer for realization of your ideas!